NORWAY — Spring is known as a time for new life and new hope, and the same can be said for one farmhouse in Norway. Located just south of town on US–8, the house was first built in the late 1800’s, but has been empty and decaying since the mid–1980’s. That is, until last year when a group of friends decided to buy the old house and turn it into a business on a new state recreation area was announced for the Menominee River and Piers Gorge area. But right away they came across their first hurdle. After months of dealing with the local governments, the guys finally were given permission to start rebuilding. 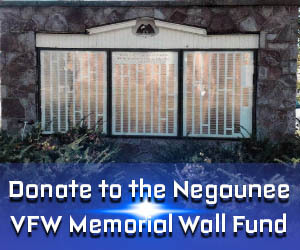 While they were able to keep some of the original frame of the house, they’ve spent over one hundred thousand dollars rebuilding most of the foundation, the floors and walls, and get a new roof. Luckily, they’ve managed to salvage a lot of their materials from old barns and businesses, and giving them a new purpose. They’ve partnered with Northwood Adventures to make a business like no other in the area by providing whitewater rafting, an indoor rock climbing wall, kayak and canoe rentals, and the space will also be used for retail. They will be selling local and regional goods, as well as outdoors and adventure gear that can fit almost any adventure, and the business as a whole will be one of a kind. While the business is in the final stages before opening, there is still more to be done, and the new business could use your help. Right now they are in a competition for a FedEx small business grant that will help them complete projects and expand to new ones. “We’ve spent so much time and resources building this facility, but as we closer to the end we realize we can do so much more with it,” Alwine said. 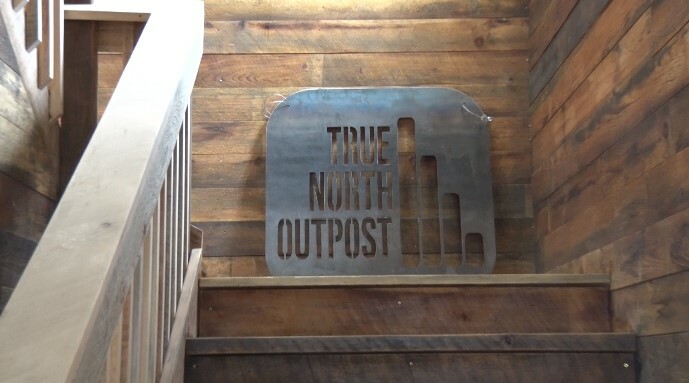 True North Outpost will be having an open house on May 3rd, and their grand opening will be on Memorial Day Weekend. To see their website, click here. The first round of the competition is decided by public voting online and ends on April 1st. To vote for them, click here.